Looking for SageMathCloud? CoCalc is a rebranding. Your old account and projects are still there. Sign in with your existing account and you're ready to go. Various other computation: Octave, Julia, etc. Zero Setup: getting started does not require any software setup. First, create your personal account. Then, create a project to instantiate your own private workspace. 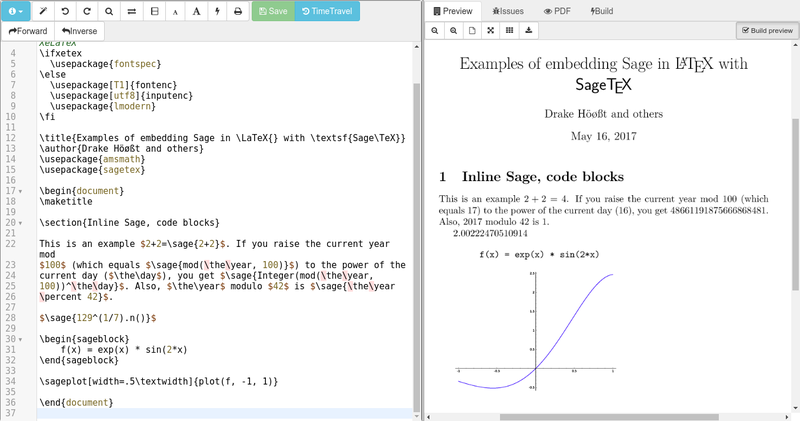 Finally, create a worksheet or upload your own files: CoCalc supports Sage Worksheets, Jupyter Notebooks, Latex files, etc. 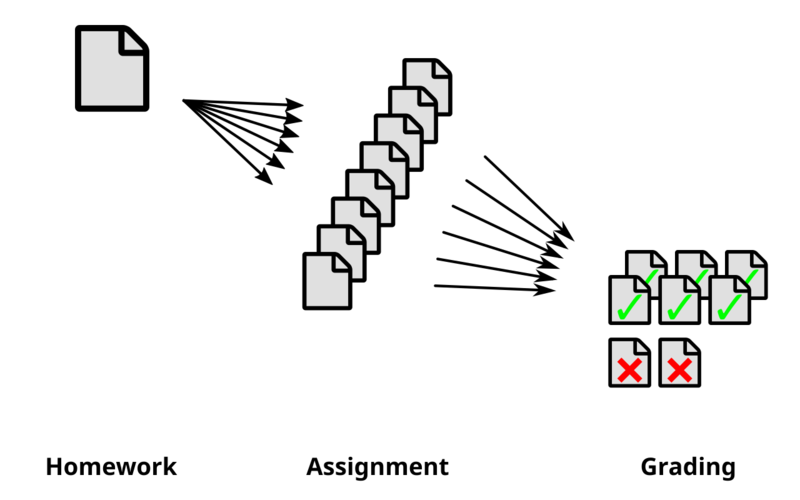 Share your files privately with project collaborators — all files are synchronized in real-time. Time-travel is a detailed history of all your edits and everything is backed up in consistent snapshots. Finally, you can select any document to publish it online. A default project under a free plan has a quota of 1.0 GB memory and 3.0 GB of disk space. Subscriptions make hosting more robust and increase quotas. Your work on CoCalc happens inside private projects. They form your personal workspaces containing your files, computational worksheets, and data. You run your computations through the web interface, via interactive worksheets and notebooks, or by executing a program in a terminal. You can invite collaborators to work with you inside a project. Like you, they can edit the files in that project. Edits are visible in real time for everyone online. You can share your thoughts in a side chat next to each document. CoCalc offers sophisticated tools for teaching. Start by creating a course, add your students, create assignments and distribute them to all students. While students work on it, you can assist them by jumping right into their files where they're working. Later, collect, grade and re-distribute the files. Write scientific documents online in a LaTeX editor. It offers a full LaTeX setup, has a side-by-side preview with forward and inverse search, also supports advanced features like SageTeX and R's Knitr. Have you experienced the pain of setting up the software environments for your students? With CoCalc no software needs to be setup and you can finally focus on your students! Combined with CoCalc's other unique features you can check, guide and retrace all steps a student takes. Use TimeTravel to see each step a student took to get to the solution. Consistent and immutable Backups make losing files impossible. Integrated Chat allows your to guide students directly where they work or discuss collected files with your teaching assistents. The project's Activity Log records exactly when a file is accessed and by which user. CoCalc provides a user-friendly interface. Students don't need to install any software at all. They just open up a web browser and go to https://cocalc.com and that's it. They just type code directly in, hit shift+enter and it runs, and they can see if it works. It provides immediate feedback. The course management features work really well. All your changes are recorded in fine detail. You can go back and forth in time across hundreds of changes to recover your previous edits. Every couple of minutes, all files are saved in consistent read-only snapshots. This means you can always recover older versions of your files in case they got corrupted or accidentally deleted. A stand-alone chat and side-by-side chat for each file gives you the ability to discuss the content with your collegues. Collaborators who are not online will be notified about new messages the next time they sign in. Chat supports markdown formatting and Latex formulas. This is a fully compatible complete rewrite of the classical Jupyter Notebook. It is tightly integrated into CoCalc and adds real-time collaboration, time-travel history and much more. 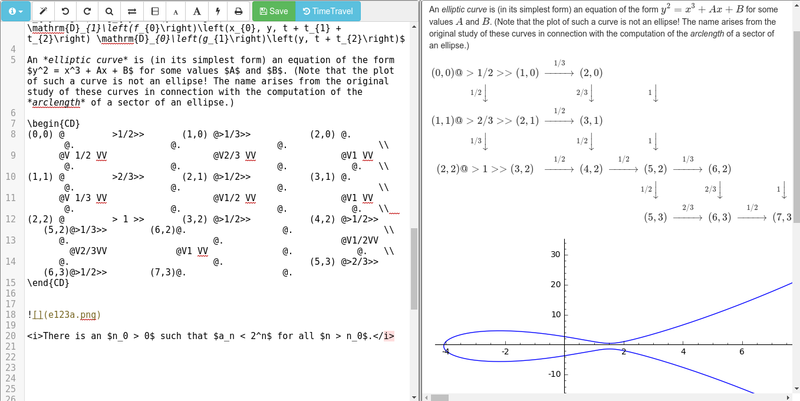 CoCalc includes a full LaTeX editor with side-by-side preview and forward/inverse search. This allows you to not only do computations online, but also create scientific documents for their dissemination. There is also support for editing Markdown or HTML documents. The live preview supports LaTeX formulas and embedded graphics. There are currently ? users connected to CoCalc.